Funk and Tech Disco. Tokyo…. In honor of Tokyo Fashion Week, This&That Café is rolling out the red carpet to some of Tokyo’s hippest designers as well as haute couture hopefuls. It’s This&That, so the usual array of stellar artists and amazing musicians will be in place. They’ll all just be dressed a little better. 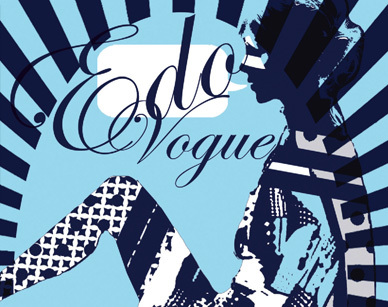 Come mingle with models and rub elbows with industry types as TokyoDex brings high fashion way down to earth. Wear something cool! Icon Girl Pistols is an indie rock band based in Tokyo that have been playing in bars, basements and back alley clubs around Asia since 2008.
singles and EPs released for free download through their website, the band have released two albums: “New Currency” in 2009 and “Goodbye Donuts (Hey, Statue of Liberty)” in 2011. Icon Girl Pistols will continue writing, performing and referring to themselves in the third person into 2012. Beginning her music career in her school years, Yuriko first drew attention while playing in the band PUNGO. In 1996, she released the album “right here! !” featuring all original songs. In 1997, she served as the music director in “Spring Awakening,” a musical directed by Kazumi Kushida. Winning fans with her wide-range of sounds and aggressive style of playing violin, she holds concerts and does recordings across many genres. In recent years, she often plays with foreign artists such as Tristan Honsinger and Willem Breuker as well as the late Lars Hollmer, and with singers such as Shizuru Ohtaka, Shun Sakai, Yoshio Hayakawa, phew and Ikue Asazaki. In 2010, she formed the unit “GK & the Mouse” with dancer Akiko Takada and “Odd.” with Jiro Imai and Megumi Hisaka. Aftrer working in dance shows and musicals in Tokyo, Nanami moved to New York City where she became the member of Deveaux and Co., a NY-based comtemporary dance company. She also began her career as a model while in NYC and currently works as both a model and a dancer in various fashion shows and events in Tokyo. ki started working as a musician in 1991 when he was a high school student. He played hard rock, folk songs, flamenco, classical music, etc on many different kinds of guitars. At the age of 24, he moved to Hawaii to start a music business. After returning to Japan, he found an ukulele at a music shop on Tokyo and the sound was sweet, making him reminiscent for Hawaii. He brought along a Ukulele to his next concert as a joke, but to his surprise, the audience’s response was very positive and he realized that the instrument has the power to truly move people. He has been playing ever since. A fashion show of art-pieces by the 2012 graduates of Sugino Fashion College in Meguro, Tokyo. They did everything from design to patterning and crafting the ready-to-wear stage costumes to be featured in this show. While still students, their consciousness is extremely high ad they try to see fashion from varied perspectives, each of them with his or her own artistic vision. beauty” through detailed attention to make-up, nails, and hairstyling. Akiyoshi Mishima, the art director of the art group “Enlightenment,” and fashion designer Asuka Yamamoto found an affinity and commonalities in their art and began to work together in 2006. Yamamoto interprets Mishima’s concepts in fine art and rebuilds them as fashion creations, challenging the way people perceive and experience clothing. The brand name “FUGAHUM” is a fictional country envisioned by Mishima and Yamamoto, and like all countries, FUGAHUM has its history. In the past, the natives of this country were invaded by foreign cultures and their culture became an amalgam of myriad ways of life. Fugaham is an art project comprised of 10 chapters leading up to the establishment of the nation of FUGAHUM is established, telling the story of this land through aesthetics and fashion. photography, drawing and hand collages. Not limiting himself to a photographer, Yu is also active as music event decorator. He has installed his art pieces at events like RedBox Project, Rainbow Disco Club, freerange tokyo and Lime Light. Furthermore he organizes the party RETROMETRO, together with sheep.O.d. RETROMETRO is all about analog music, putting the spotlight on vinyl records and turntables, the elementary tools for all DJs. In 2010 they successfully toured in Korea twice, and in 2011 RETROMETRO will be a resident event in Korea. Saya Fukuda is a shoe designer based out of NYC. Saya’s shoe collection is very much inspired by New York City. From the names of the sandals, to the ideas behind the creations, New York has been Saya’s muse… A unique blend of classic bohemian is the trademark of the designer. She pays homage to vintage clothing in her handmade sandals. Like her personality, her sandals are bright, fun, one of a kind, and appealing to a wide range of people. Her own personal use of sandals as shoes to change into during commutes is what sparked the idea to make sandals for everyday wear without having to forfeit style. Smart, stylish New York women know that their feet can’t withstand the amount of walking required in the city in five-inch heels. Seasoned New York City ladies understand that you always have to have a spare pair of flats in your purse to change into, when leaving dinner or perhaps a hot night club. Sand by Saya sandals have the flirty appeal of heels, without the pain. It’s evident that these sandals are not just for the beach, us city gals have just as much of a use for them! Born in 1987. After graduating from Sugino Gakuen, Masahisa worked in customer service and merchandising at an interior design shop. In 2009, he launched his brand F.E.A.R., and he is also involved in the production and design of new shops and boutiques. A creative unit made of up Rinpa Eshidan member and graphic designer Akari Sasai, together her sister, fashion designer Haruka Sasai. Their wide-ranging activities include graphic design, fashion design, workshops and installations. time that he also began his creative activities for “TATARImokke,” creating a sensation in exhibitions and gallery shows alike. He introduced his first collection as a unisex brand in Autumn/Winter 2009 and changed the name of his business to “WHOLE COSMIC WHOOP” in 2010. Most recently he had begun to exhibit overseas.